On this course we will explore hidden stories using archives, family tales and history as given and re-told. We will delve into the uncertainties and draw inspiration from what has been erased or omitted to create poetry – a counter-narrative perhaps. Together, we will conjure a creative space offering permission to invent or re-evaluate the stories we have been told and the narratives we’ve told ourselves. Course tutors will provide materials, though participants are invited to bring their own documents: a grandmother’s letters; diaries; a book handed-down. You could even bring an object – something that seems to have more to say. Mid-week, the Tongue Fu will visit to perform their work – an improvisation of words and music ─ and will offer an opportunity for the course participants to join in too. Clare Potter is a bilingual poet and performer with an MA in Afro-Caribbean Literature from Mississippi. She lived in New Orleans for a decade and received Arts Council funding to respond to the trauma of Hurricane Katrina alongside a jazz quintet. Clare has translated poems by the National Poet of Wales, Ifor ap Glyn, and collaborates with artists to make poetry installations in public spaces. 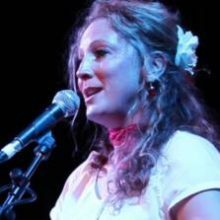 She won the John Trip Award for Spoken Poetry in 2005 and was on BBC4’s Listening Project with her father piecing together the source of emotion in poetry. In 2018, Clare was the Velvet Coalmine Festival’s poet-in-residence, based in the Miners Institute where she collected people’s stories of this significant cultural and political building. 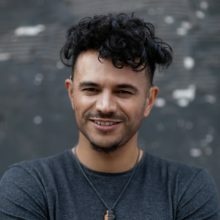 Raymond Antrobus is a British-Jamaican poet from Hackney. He is the author of two collections of poetry, To Sweeten Bitter (Out-Spoken Press, 2017), and The Perseverance (Penned in the Margins, 2018) and in 2018 he was awarded a Geoffrey Dearmer Prize. He is a founding member of poetry collectives Chill Pill and Keats House Poets Forum and the recipient of fellowships from Cave Canem, Complete Works 3 and Jerwood Compton. He is also one of the world's first recipients of an MA in Spoken Word education from Goldsmiths, University of London. Tongue Fu is one of the UK's leading spoken word collectives. It includes a rotating cohort of extraordinary musicians, an ever-growing roster of great poets, storytellers, comedians, rappers and lovers of words. Created and hosted by poet Chris Redmond – it is a riotous experiment in live literature, music and improvisation. Tongue Fu hosts a regular residency at Rich Mix arts centre in Shoreditch and boasts a growing list of shows at London Wonderground at The Southbank Centre, The Barbican, The Roundhouse, Royal Albert Hall's Elgar Room, Glastonbury Festival, Latitude Festival and Bestival. If you wish to pay by cheque, simply use the online booking form above and select ‘Pay by Cheque’ in the payment options. This is a beautiful place and an ideal environment to concentrate and write. I had heard so much about Tŷ Newydd but it surpassed all expectations! "If you want to brush up your writing skills there's no better place than Tŷ Newydd for setting, facilities, peace and quiet, and value for money." "You can stay in an average hotel and eat out for more than it costs to stay at the beautiful Tŷ Newydd and have top class food and accommodation – and brilliant tutoring about writing as well!" Tŷ Newydd is a wonderfully warm and welcoming place. It’s a space that allows you to connect with your writing and focus entirely on that. The location, staff and house all come together to create the perfect home away from home for creativity and inspiration. On the final evening of our course, one student hit ‘send’ on a submission to a literary agent and the whole room cheered for her. That says everything you need to know about the course. As a tutor, it was a real privilege to be part of such an inspiring few days. A warm welcoming writing centre with lots of space and fantastic grounds. We had rich discussions on writing about climate change; stayed up late discussing denial, anger, grief for the world and hope for the future. A few bottles of wine, candlelight and delicious food. A weekend at Tŷ Newydd is an escape to a romantic literary past. The modern day falls away, forgotten. What remains is the whitewashed house, the gardens and the stretch of sea in the distance. What remains is the writing and the inspiration that powers it. And what remains are the new friends experiencing the same thing at the same time. I always come away from Tŷ Newydd feeling enthused and creative. It’s a tonic, a fresh eye on life. A rest for the mind and a fire for the heart. It makes me want to craft words, tell stories, write. Lle delfrydol i gyfarfod yr awen. Mae gan Dŷ Newydd rhyw swyn greradigol sy'n ffeindio'i ffordd i fewn i bob rhan o'ch cyfnod yma. Dwi wedi mynychu a tiwtora mewn cyrsiau yma ac wedi ffeindio'r llonyddwch, yr harddwch a chyfeillgarwch y staff yno yn sbardun i ysgrifennu ac arlunio bob tro. Mae'r ffaith fy mod yn edrych ymlaen i ddychwelyd yma i fod yn rhan o'r cyfnod creadigol, dim ots beth yw'r cwrs na'r cwmni yn destament i lwyddiant Tŷ Newydd. Cerwch amdani! Mae’r arbenigedd a rennir gan diwtoriaid yn amhrisiadwy a’r gwmnïaeth a’r lluniaeth yn ychwanegu’r fawr at y profiad. Os ydych yn dod am y tro cyntaf, dewch gyda meddwl agored a bod yn benderfynol o elwa, naill ai drwy ddarganfod eich dawn chi eich hun neu ddawn rhywun arall. Os yn dod ar encil, gofalwch eich bod chi’n cael popeth mewn trefn CYN dod ar yr encil er mwyn cael y budd mwyaf o lonydd i sgwennu. Mae awyrgylch Tŷ Newydd cyn bwysiced â'r cwrs. Mwyhewch y llonyddwch, y bwyd a'r cwmni, a holwch eich tiwtoriaid yn ddi-baid. Oni bai y gwnewch chi hyn, fyddwch chi wedi gwastraffu cyfle. Tŷ Newydd holds a special place in my heart. I’ve grown through every residential course I’ve attended and to return as a tutor is a real honour. It’s a delight to work in such creative surroundings and to have the opportunity to practice my Cymraeg. Tŷ Newydd is my favourite writers’ centre – warm, welcoming, like a home from home, and the setting is stunning – sea views, huge gardens, picturesque river walks. You are doing a great job and huge contribution to the literary life, attracting many talented and promising writers who are a dream to teach – thank you! The location itself is crucial to the course, offering as it does a quiet, serene venue for people to get down to work free of outside influences and the stress of daily life. The peace and the layout of the house – lots of nooks and corners for people to disappear into to write – means that even with 16 people on the course we at no time felt cramped or under each other’s feet. My thanks as always to the staff at Tŷ Newydd for their unobtrusive but supportive presence throughout the course. They make it a pleasure to be there. It is my favourite place for teaching creative writing anywhere in these islands – I love the setting and the atmosphere it creates, and the groups I’ve taught over the years have never been anything but amenable and good fun – and talented! And if anyone wanted proof of the Tŷ Newydd effect, and the quality of writing it can produce, get a hold of the anthology produced at the end of the week, ‘Tales from Tŷ Newydd’, and read the ‘Letter from David Lloyd George’ that a school pupil, aged 11, wrote in twenty five minutes, in the library, on a Thursday morning. It’s extraordinary! The tutor was outstanding - I've been twice before and I learn more and more each time. Kaite is rigoras, supportive and exciting to work with. "Roedd y tiwtoriaid yn ffantastic. Wedi bod yn gyfle gwych i gael dysgu wrthyn nhw ac oddi wrth fy nghyd-fyfyrwyr." I feel enlightened, like all the static in my head that I always wished would stop has finally turned into song. Yssu i ddod yma ar gwrs arall yn barod! Roedd yn braf cael rhyddid a llonydd i fynd ar eich liwt eich hun, ond cael y cyngor gan y tiwtoriaid os roedden ni angen hynny. Bwyd hyfryd, gwely a chyfleusterau glan a chyfforddus. Tan tro nesaf, Tŷ Newydd. It feels like home. I never want to leave. My favorite writing centre by far! The setting and the house are so conducive to creative work. Being surrounded by beauty, natural and home-wise, makes all the difference. Tŷ Newydd offers an unforgettable experience for writers. It is unique among writing centres I know in its beautiful, picturesque seaside location. Working there as a tutor was a greatly rewarding experience. It was brilliant to see how writers developed during the week, and how quickly a sense of a writing community developed among people who started the week as strangers. As a tutor, it was a thrill to be inspired by the students’ work and by the atmosphere of the place. This is very definitely one of the best experiences I’ve had as a writer and teacher. Lle i enaid gael llonydd - a thanio! Mae awyrgylch unigryw yn Nhŷ Newydd, ac unwaith mae rhywun yn cyrraedd mae modd canolbwyntio ar yr elfen greadigol. Mae’r safle mewn lle delfrydol a rywsut mae holl ethos y lle yn eich meddiannu wrth ddod yma, ac mae pobl yn llwyddo i greu ac ymagor ac i gyd-dynnu yn arbennig. Lle sydd yn agos iawn at fy nghalon i fel mynychwr cyrsiau ac fel tiwtor. Hoffwn dreulio mwy o amser yma i weithio ar waith penodol fy hun hefyd. Tŷ Newydd is a very special place. Writers often seek inspiration and it is difficult not to find it here. Inside, the house is handsome, comfortable and heaving with books – not to mention chef Tony’s mouth-watering creations. Outside, the natural setting is extraordinarily beautiful, a world of mountains and rivers, woodland walks and the stretching sea. As a writerly escape from the busy world, a place of reflection and laughter, it takes some beating. Wales’s best kept secret. The house has loads of character and is labyrinthine – so many nooks and crannies and the best library ever. You instantly feel at home. The food is home cooked and wonderful and the staff welcoming. And a 15-minute walk away is an unspoilt rocky beach with a path all the way to Cricieth. If you seek inspiration you will find it here: in the workshops at Ty Newydd; on the bardic chair in the garden; all along the wild coastline.